Most of us purchase insurance to protect our health, family, and assets. We own policies engineered to protect ourselves, our loved ones, and our property against all sorts of mayhem. We’ve got coverage for health, life, death, home, and auto. In fact, we have securely wrapped ourselves in a blanket of insurance. But what about our pets? How many of us actually own pet insurance? And, for those of us who have insured our pets, have we wisely selected our pet policies? What Exactly Is Pet Insurance? 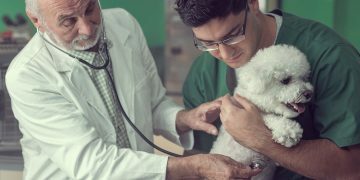 Like all types of health insurance, pet insurance is about providing for the health, well-being, emergency care, and rehabilitation of a loved one. In this case, the loved one is a beloved family pet rather than a human member of the family. Like all forms of insurance, pet insurance comes only with a paid monthly or annual premium. Most livestock species are excluded from pet insurance, albeit agricultural insurance is available for domestic farm animals and some exotics. It is important to know that almost all pet insurance companies cover dogs and cats only. In fact, as of 2018 only one company offers insurance for dogs, cats, and other species. That company is Nationwide and, along with dogs and cats, they insure a wide range of small animals and cage pets (birds, guinea pigs, gerbils, some reptiles, pet rabbits, etc.) At this time, all other insurers only provide for dogs and cats. So, if you own parrots for example and wish to insure them, then your only choice is Nationwide. Unlike auto and mortgage liability insurance there is nothing that legally mandates that we buy insurance for our pets. But, like most forms of asset, life, and medical insurance, it just makes good sense to insure our pets against theft, injury, and disease. All too often pet owners are overwhelmed by huge vet bills resulting from catastrophic pet illness or injury. Too often the heart-wrenching choice to euthanize a pet rather than treat them, is made by pet owners simply because they can’t afford the bill. Pet insurance is an affordable alternative to the heartbreaking finality of euthanasia. It is now available throughout Canada and the United States. Good pet care insurers will offer all of those. They may have a menu of added-cost options as well. You can pick the options that fit into your budget and that suit your pet’s particular needs. For example, if you’ve just adopted a German shepherd puppy, you may want to go with a provider that covers joint dysplasia. Certain hereditary disorders, like dysplasia, might be offered as standard coverage or as an option, depending on the company’s policy. It’s up to you as an informed consumer and pet owner to ask the right questions and to shop providers with due diligence. The information offered here on the providers may change over time, so ensure you check the details are correct before making your decision. Nationwide: This company resides at number one on our list for three reasons. Firstly, because they are the only company that offers great coverage for birds and exotics along with dogs and cats. Secondly, because they have no benefit limit. And thirdly, because they have a 90% reimbursement policy. Premium monthly cost starts at $35.00 with an annual deductible of $250. Healthy Paws: This insurer is our number two pick because they also have no limit on benefits. Their reimbursement varies though at 70%, 80%, or 90% options. Also, their deductible is variable depending on diagnosis and treatment. Premium cost starts at $10 per month and goes up from there. Embrace: This company sits at the number three spot because they have a high benefit ceiling of $30,000 and a low monthly cost starting at only $9.00. They do have a variable reimbursement though, ranging from 70-90% and an annual deductible range of $100-$1,000 that you must decide on. Pet Plan: Like number three, Pet Plan offers a strong benefit limit of $25,000 and a reasonably low monthly cost starting at just $18. They also have an annual deductible range of $100-$1,000 with 70%, 80%, or 90% reimbursements. Figo: This company has received broad acceptance among millennials and techies. Although it has been in business since 2012, this insurer sits at number five on our list because it comes with a fairly high monthly cost starting at $28 and a deductible that can go up to $500. This is a company that will probably gain more traction as they further develop their innovative approach and as millennials age. ASPCA: These folks have been around for a long time and, of course, are best known for their animal recovery and rescue shelter actions. They offer a good, reasonably priced dog and cat insurance program. But, with a $5,000 per claim benefit limit and substantial deductibles ($100-$500), they are somewhat overshadowed by the higher ranked providers. 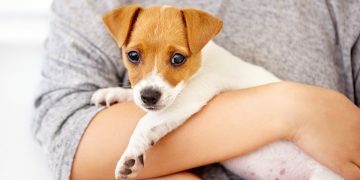 Pets Best: A good company but, with an annual benefit limit of $5,000, a budget-busting deductible that can reach $1,000 per year, and a slightly higher premium than the ASPCA, they rank at number seven on our list. So there you have it, a comparative list of the top seven pet insurance companies serving the US and Canada. While we highly recommend you review and weigh each company on their individual merits, we hope this brief comparison will assist you in your pet insurance choice.